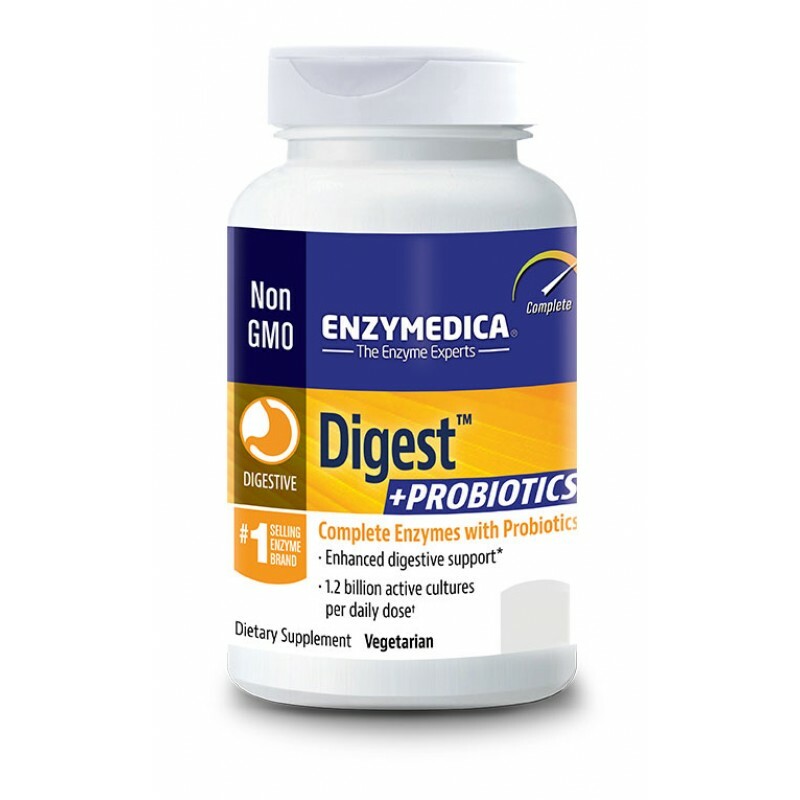 Enzymedica Digest + Probiotics is an enhanced formula that breaks down carbohydrates, fats, fiber and protein. The broad range of enzymes included in Digest +Probiotics supports optimal digestion by helping the body absorb nutrients and convert food into energy. Probiotics offer additional digestive support by boosting enzyme production and promoting regularity. Digest +Probiotics provides the convenience of effective digestive enzymes combined with guaranteed delivery of active probiotic cultures. 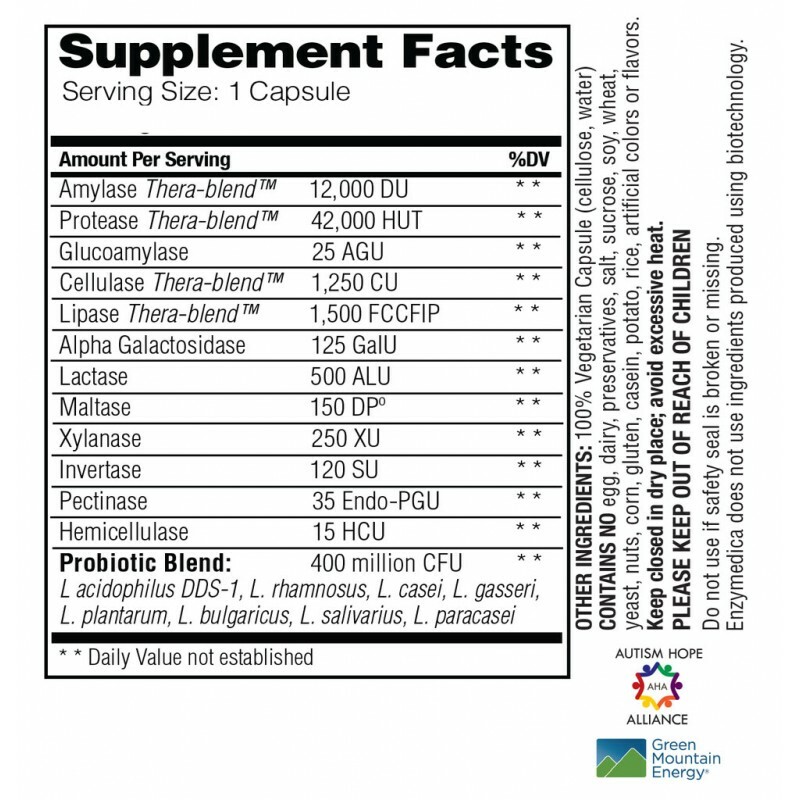 Digest +Probiotics contains twice the enzyme power of Enzymedica’s Digest Basic +Probiotics. For higher enzyme potency, Digest Gold +Probiotics may be helpful.